Simply go to the reception desk in the neighbouring four-star Hotel Edelweiss & Gurgl. The friendly members of staff will be pleased to welcome you to Obergurgl and wish you a great ski holiday. To check out, hand the key to your apartment back to the staff at reception at the end of your stay. (1) Up to three months before the day of arrival the booking can be cancelled unilaterally by both parties without either party having to pay a cancellation fee. 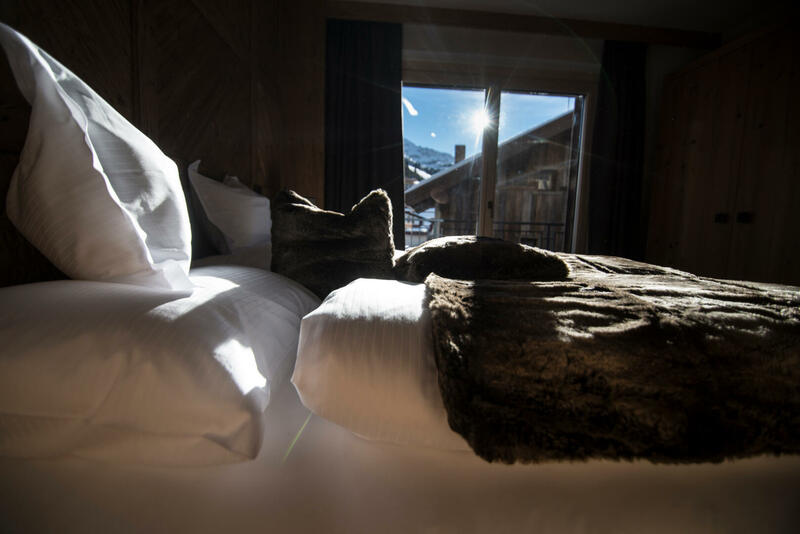 (2) Up to one month before the day of arrival the booking can be cancelled unilaterally by both parties, but a cancellation fee amounting to the room price for three days must be paid. All bookings cancelled less than one month before the day of arrival must be paid in full (minus 20% for services not used) unless we are able to find new guests to stay in the room for the period in question. A booking is only binding when it has been confirmed in writing by the Hotel Edelweiss & Gurgl. All cancellations must be made in written form and be confirmed by the Hotel Edelweiss & Gurgl. Which things can I leave at home? Our luxury apartments are equipped with everything you need for an enjoyable holiday in the privacy of your own four walls. You do not need to bring things such as bedding, cleaning products, crockery or clothes hangers – you can leave all that to us. Don’t forget that you can also leave your skis at home! The Sport Scheiber rental shop is located in the same building as the Hotel Edelweiss & Gurgl and offers guests the chance to try out next season’s latest models! Where do I get my ski pass? You can get your ski pass for the Obergurgl-Hochgurgl ski area directly from the reception desk in the neighbouring Hotel Edelweiss & Gurgl. The hotel is beside the slopes, so you can head straight out onto the pistes! Are there shops nearby (bakery, supermarket, etc.)? As an international winter sports resort, Obergurgl has a wide range of shops and other attractions. A number of shops (supermarkets, newsagents, pharmacists, etc.) as well as a petrol station and a bus stop are located right next to the Gletscherblick Apartments. Are baby cots available in the apartments? Naturally! When booking online please let us know that you need a baby cot. Alternatively, talk to one of our members of staff via our live video chat or text chat and find out more about the different options available. Do the apartments have an internet connection? Yes. You are welcome to use the free wireless internet connection in the Gletscherblick Apartments throughout your stay. How far is it to the ski lifts? The bottom stations of the “Hohe Mut Bahn” and “Rosskarbahn” cable cars are just 70 metres from the front door of your Gletscherblick Apartment. 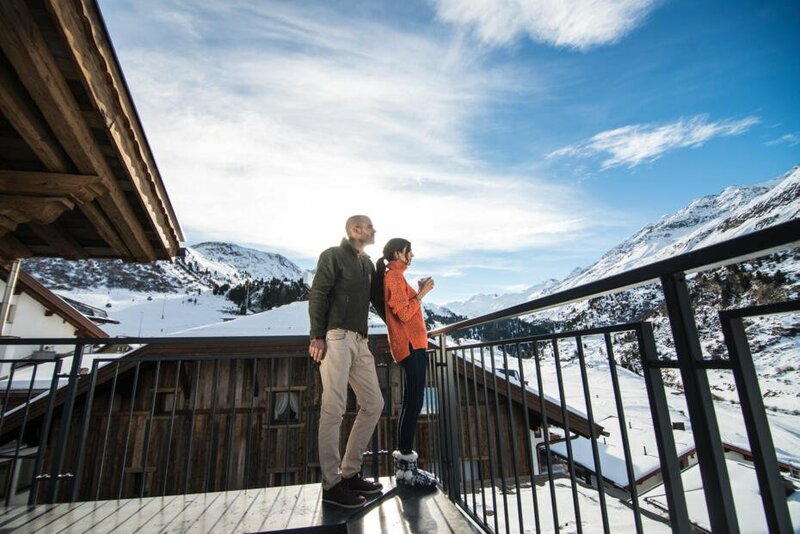 In the Hotel Edelweiss & Gurgl you will find your personal storage space with an integrated ski boot dryer. 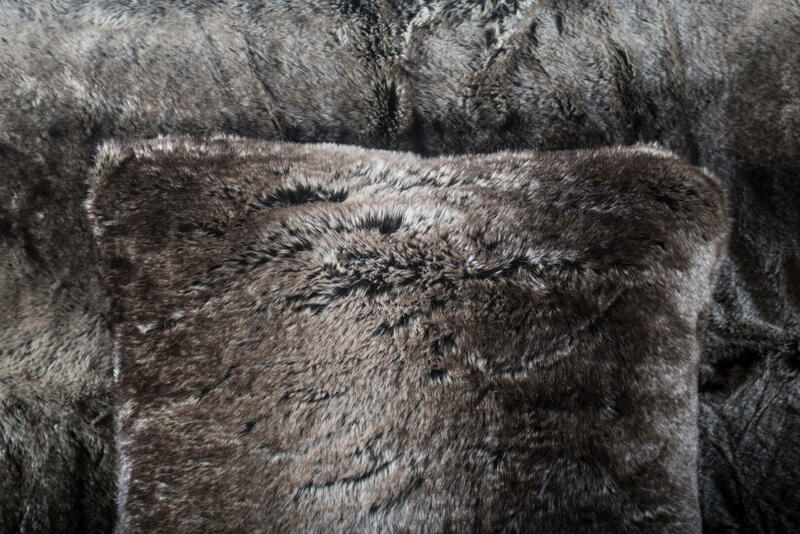 The ski room is located just a few metres from the slopes and from the bottom stations of the cable cars. Where is the ski school? The Obergurgl Ski School is near the Gletscherblick Apartments and offers ski courses for both children and adults. The meeting points for these courses are close to the ski school and clearly marked. 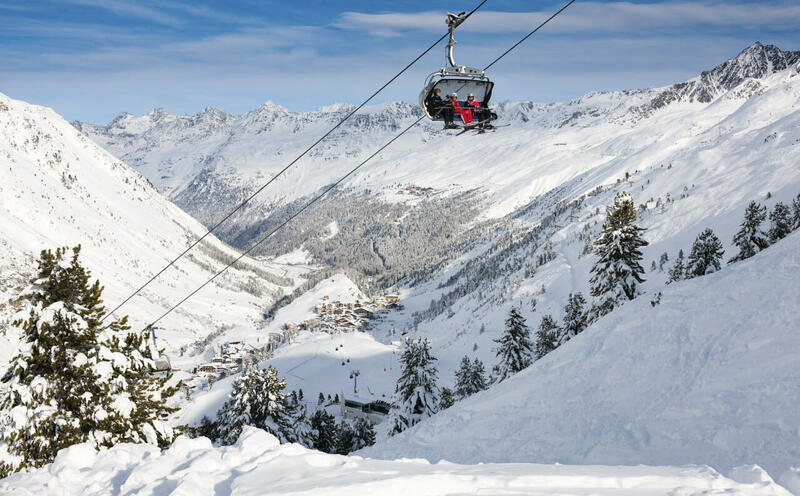 What’s more, the Obergurgl-Hochgurgl ski area is designed in such a way that it is easy to meet up with friends and family during the course of the day. 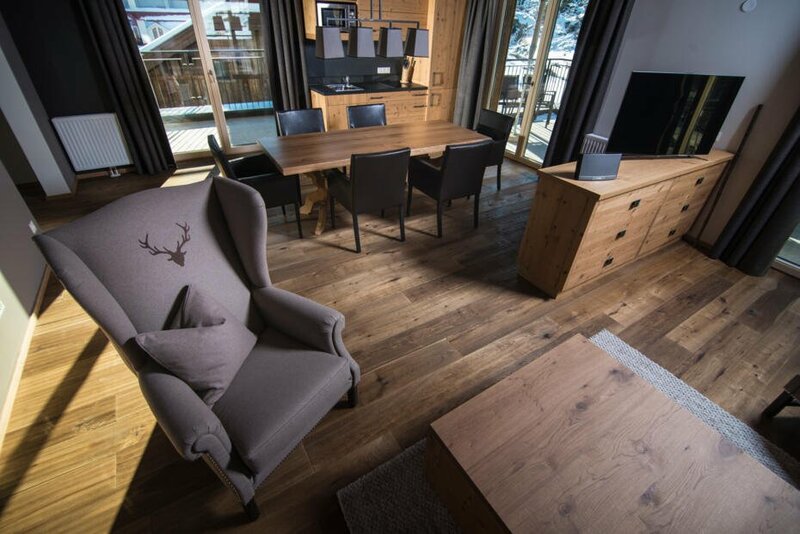 In the ski cellar of the neighbouring four-star Hotel Edelweiss & Gurgl you will find an area where guests staying at the Gletscherblick Apartments can store their skis. There is also a direct connection between the ski room and the Scheiber Sport rental shop, where you can hire the latest wintersports equipment. Are there parking spaces near the apartments? Guests are welcome to use the parking spaces at the Hotel Edelweiss & Gurgl. Our staff will also be pleased to park your car in our secure underground car park for the duration of your stay. There are also parking spaces available directly in front of the hotel. Who should I contact if I have questions during my stay? In the living room of each Gletscherblick Apartment you will find a flatscreen TV with a direct connection to the online concierge in the neighbouring Hotel Edelweiss & Gurgl. Any questions or requests can be directed either to him or to the reception team in the Hotel Edelweiss & Gurgl. Are dogs allowed in the Gletscherblick Apartments? Unfortunately, dogs are not allowed in the apartments for reasons of hygiene and out of consideration for other guests. How are the apartments cleaned at the end of a stay? Once guests have left the apartment at the end of their stay the entire apartment – including the kitchen and bathroom – are thoroughly cleaned before the next guests arrive. Out of consideration for other guests, please refrain from smoking in the Gletscherblick Apartments. Guests are, of course, welcome to smoke in the balcony and terrace areas, where they will find ashtrays.